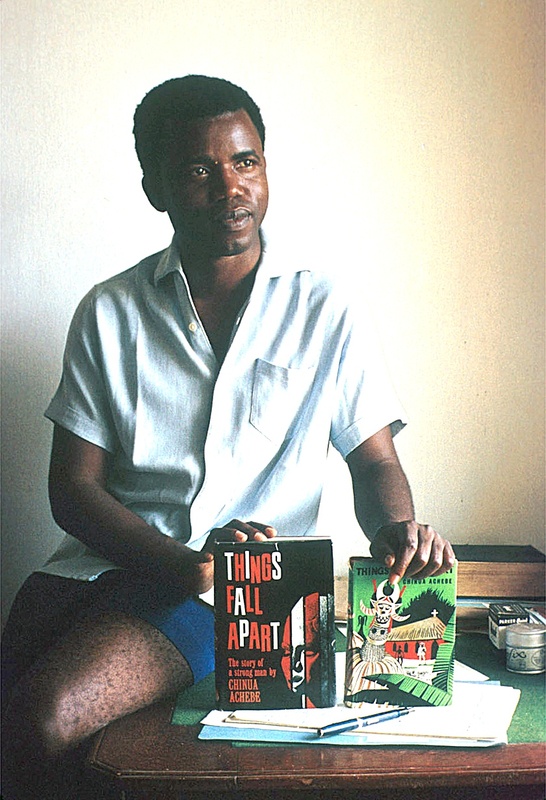 CHINUA ACHEBE, Interview by Oyiza Adaba – Babilown-Ariwo ! What inspired you to write the book ‘Things Fall Apart’? The story wanted to be told at all cost and why it chose me to tell the story, I don’t know. What colonisation did to us was to remove power from the elders and pass it over to children. This is what European education meant. I don’t know what other place had this experience of having children (because they went to school), giving them power over the elders to determine what was going to be what. How has the story surprised you since its publication 50 years ago? Students from a girls’ school in Korea, in a whole class of 30 plus, wrote a letter each to me and the teacher sent it. I learnt that my story was also the story of Korea, at least as these children saw it. Some of them were very angry that I killed Okonkwo. They thought Okonkwo should have been spared to succeed; they didn’t want him to fall. I have never been to Korea. I didn’t know their history. It was these children that told me that they were colonised by the Japanese. And so that similar, but different, incident of colonisation was the thing that held us together. I have discovered that the whole life of the world is full of that kind of similarity that people can use if they want to make themselves brothers and sisters of other people. How many translations of the book since publication? In spite of the great success of the novel, which you referred to, you would think that the relation between the writer of that story and the publishers would be very close. I expect that, in the end, there will be many translations. The one I promise to do will be my own version, which I expect would justify itself when it comes out, because I had sort of taken the story from its roots and created a dialect of English, which was my own invention. This I can now see because I kept worrying about what would suit what. I kept worrying about how you translate a proverb so that its dignity would be maintained. I had worried about all those things. And now I know why. It is because I wanted English and Igbo to hold a conversation. And see how you can tell a story that happened in Igbo in this dialect of English. Now, I want to go back and do it the other way. Did you consider any other titles other than ‘Things Fall Apart’? Oh, I may have. But once I encountered Yeats’ poem: Things Fall Apart The Center Cannot Hold/Mere Anarchy Is Loosed Upon The World. Once I encountered that I knew I had to take that title, Things Fall Apart; it presented itself. How much editing did your manuscript receive from you? I didn’t need an editor. In fact, this is the point I remembered my professor of English at Ibadan, who said that my short story was fine. It was the best in the competition that was arranged in the English department; no story won the prize. My story was mentioned in dispatches, if you like. That was good, but not good enough to win a prize. It lacked form. I was overjoyed, because you know Ibadan was no joke, then, especially the English department. To be mentioned at all was a great celebration. So, I said great, I wonder if you can tell me something about form, for the features. She said yes of course, except she was going to play tennis that day. So, we went on over a whole term, waiting for her to be ready to meet with me. And, one day, she called me or saw me and said, you know I looked at that your story again and actually there was nothing wrong with it. So, I didn’t learn anything about form from my teachers. In a way, that was as it should be, because there was nobody who could have told me how to write Things Fall Apart. It was so peculiar to me. If you were to be a character in Things Fall Apart, which will you be? Perhaps, the most moderate, because moderation is important here, Okonkwo is a man of excess. I respect him as a hero, but a flawed hero. But, very interesting, that is why he is famous. But his friend, Obierika, is more moderate, the kind of person who would keep a house in order. And so, if I had to be one person, if it not Ezimma, it would have to be Obierika. What do you think of the Africans in the Diaspora? Until we understand that we are one person, that whenever you talk about the diaspora that wherever you find this diaspora whether in America, in Brazil, in Africa itself, wherever, it is the same story that they have. And it is the story of the Trans-Atlantic slave trade. Now, whenever you see an African diaspora person, you know this is a victim, like myself, of that event. So, we have a long way to go in the diaspora, in getting our story straight, because if the story is not straight, we would not be straight. What does Nigeria mean to you? Nigeria is home. First of all, that is what it means to me. It’s home. It is a very frustrating home, a very annoying home. But it is my home. And if I had my way, that is where this interview would be happening. But since it’s not gone that way. I don’t believe in weeping over something. I think it’s more effective, more useful to find what you can do rather than what you can’t do. So, Nigeria has such a wonderful possibility built into it, but something it never uses: talent. It would rather use a half-baked person than somebody who is highly qualified. But that is the country I have got. 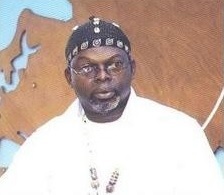 What is the place of balance in Igbo understanding of the world? It is very, very important. It is central to our thinking. The Igbo convey it in many different ways. The one that springs to mind immediately is the statement that wherever one thing stands another thing will stand beside it; one thing and another thing. Nothing stands alone. That is the Igbo idea of evil – alone. It is from there that the idea of balance comes. One thing is good, but something else is also good. Become familiar with your home, but know also about your neighbours. The young man who never went to anywhere thinks his mother is the greatest cook. That is one thing they tell us. So, balance is at the centre of our idea of the good life, of the good world. Well, if you like, you can place him with the women, in the society, this is how Okonkwo saw him. But he is a very decent and nice person. Not successful not in the sense of wealth and resources or ability to look after his family and live big, all these things didn’t work for him. One thing that worked for him was his flute. So, in the view of Igbo people, he was a failure. This is, in fact, where Okonkwo makes the biggest mistake and the Igbo culture is partly responsible because the Igbo culture looks a lot on strength and power and success. And Okonkwo heard this from his society (he heard it all the time), about this importance of strength and being manly. So, cowardice is even a value of the Igbo people in saying to Okonkwo that it is not only in the machete and sword that there is value, there is value also in sitting down and contemplating. What do you think of today’s young writers? They are good, there was a time when it seemed as if the thing was drying up but anybody who knows what art is would have known that it is waiting for something to happen, I don’t know what it is, but we seem to be back at work. 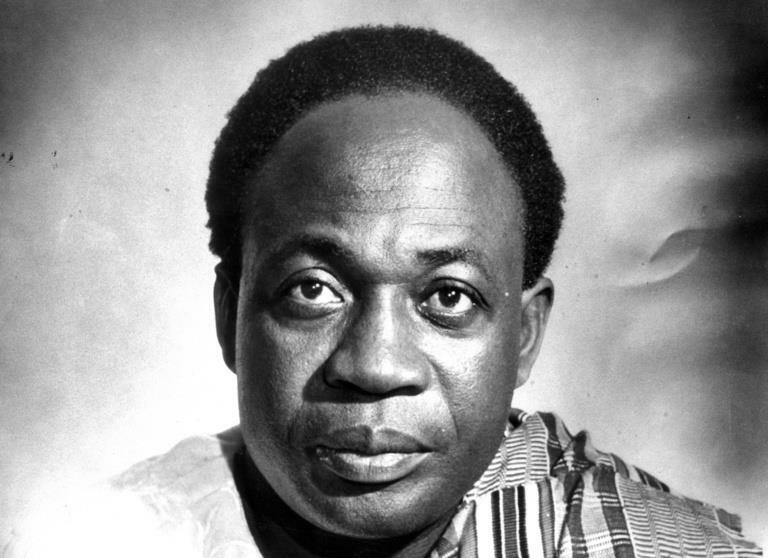 Why did you not take a national honour from Nigeria? The reason I didn’t receive it is because I didn’t want to receive national honours from Nigeria as it was. Perhaps, maybe still is today. I was tired of hoping that someone would come up, who would understand the value of the position that we earn because of our education, leadership, whatever and to apply it to make our people happier and more prosperous. Has Okonkwo been living with you these 50 years? He has. What I feel towards him is a sense of wonder and pity. Pity is probably not a good word, because Okonkwo is a very dignified and proud person and would not like anyone to pity him. But, I am sort of concerned that a major aspect of our human experience has to be suffering and failing to reach where you set out to go because of all kinds of things on the way and one day somebody came to me in a hospital and the question he asked was, why you; why would this happen to you? So, I said to him: ‘do you have an idea of somebody else to which it should have happened? What I was saying is that the world is tragic by nature and that’s why tragic stories appeal to me far more than happy and comic ones. What kind of story does an Anglophone Cameroonian write, especially when they have to the left, French Cameroon, and to the right, Nigeria? Oh, that’s something they have to find out themselves, that feeling of being the little or almost forgotten member tucked away there. There is a huge story there. You see, the mistake many people make is to think that a successful story is successful because it is big or because it is somebody else’s story that has worked. You will hear some people say, ‘I was not taught my culture; so what do I do.’ Well, the fact that you were not taught your culture is a big story. No, we mustn’t wait for a story that looks like somebody else’s story before we can recognise our possibility. You see the Cameroonians; I went to school with them because, at that time, every term a certain number of Cameroonians would come to Umuhiah. So I knew a few names like Noto, Nkwaita who became an ambassador, Endele, who was a Doctor. He in fact led the exit from Nigeria. Seriously, what happened was not quite fair. What happened when British Cameroon joined French Cameroon was that the power moved to the North and, somehow, we had a very crafty ruler in the North. The Sadauna of Sokoto was then the Premier of Nigeria; he managed to take the Northern part into Nigeria while the South went into Cameroon. And your business in my view is to find the story about your condition. Did you make any personal deliberate effort to keep Okigbo alive? When I came back (this is during the Biafra war), I just traveled from Enugu to my home to announce to my family that I heard in the radio that Okigbo had been killed. My son of two or three years said, “daddy, don’t let him die.” So, the reason was that Okigbo had made friends with him. Okigbo had friends everywhere — children, old people — and I remember whenever he came to visit us, this little boy would hold his hand and try to break it and Okigbo would pretend to be crying and they would be struggling. Okigbo would say, ‘children are so wicked.’ and that’s the boy, who says he shouldn’t be let to die. So, I then decided to publish something called, Don’t Let Him Die, An analogy of poetry by friends of Okigbo or anyone who wanted to contribute something. There was no plan, which will work unless the subject in this case OKIGBO, had something of interest to say. His life was so romantic in a way. His life and death was so extraordinary. It just seemed so unlike anybody else you knew. So, that is the material for the kind of history we have of him, but also the profound nature of his poetry. So it’s both his life and words. Has your accident affected your productivity? I told you the story of a fellow, who said why should it have happened to me; and my answer is: why not? That’s really what I believe. Look at my fiction. Okonkwo is strong-headed, wouldn’t listen to advice and critics have accused Chinua Achebe in his book « Things Fall Apart » of downplaying the role of the African woman in today’s society. Achebe is quick to answer that it is quite the contrary as displayed in Monye’s mother, Okonkwo’s wife, and also his love for his daughter, Ezimma. The role of the African woman, mothers, and wives is still as relevant as it was back then. What happens? He comes to a sticky end. Then, I said: ‘Let me try a different kind of African, an intellectual kind of person. So, I go to Ezeulu in the Arrow of God. He is a priest, a philosopher and what happens to him? He comes to a sticky end. So, there’s no way out. In Igbo, we say that ‘what came to nte (a small insect) is bigger than nte. He went and set a trap and something bigger than him was caught in that trap. So there is no sure answer to the problem posed to us from the moment the initiative was taken from us and we lost our freedom and independence. Which was the most remarkable day for you in the course of writing « Things Fall Apart« ? I think it was the day I finished. You see, the thing with writing my kind of writing is that you never really finish. When I thought I had finished, Bisi Olabanjo, with whom I was sharing accommodation in London (we both went to the BBC), who knew I had this manuscript, said to me, « why don’t you show it to this man. » The man, Gilbert Phelps, was a BBC producer, who was a novelist. After a while, I took it to him and told him I was writing a book and he looked as white as they would if you bring them a manuscript; he wasn’t hostile but he wasn’t exactly embracive. But he accepted it very politely; and then Bisi and I went for a British Council for three or four days. One day, I came back from outing and there was a message for me saying one Gilbert Phelps had called and left his number. So, I said: well, if he doesn’t like the book, would he make a phone call, wouldn’t he wait for me to return? Maybe he likes it, so I would call him. That was the first response I had and he liked this book; he recommended publishers to see it. Meanwhile, his publishers saw it and they were ready to start. I said no; the book is not ready; I had made a mistake in thinking that the book could have three generations in one book and yet its not a big book. It is too thin to carry this weight. That version of Things Fall Apart had Okonkwo ‘s children’s generation and a third generation till, bringing it to today, and now I realised just suddenly that there are three books here. The first part is Okonkwo; so, that is what I’m going to do and after that I will see what happens about the elders. I rewrote the book with this emphasis on Okonkwo’s generation, not his son. Eventually, I wrote “No Longer At Ease, which you know — the story of Okonkwo’s son. But what about my father’s generation? That one is still waiting to be done. So you see, there is no quick answer to your question. Suivant Qui Libèrera notre Race et sa Destinée ?